My goodness, such a fuss they're making! It's been a week since Pluto was demoted from Planet to Dwarf Planet, and this morning while riding in to work NPR had yet another essay—this one linking Pluto's downgrade to unsuccessful sports teams. But get a grip. There will be new mnemonics, and it's been how long since you left 5th grade, anyhow? With such a brouhaha, you'd think Pluto had been implicated in the JonBenét Ramsey case. It was here in Arizona that Pluto was rediscovered. I say "rediscovered" because the Sumerians knew about Pluto over 7000 years ago. Their name for it was GA.GA — seriously! — and they knew that its orbit intersected Neptune's. They also knew that Uranus' equator was almost 90 degrees off from all the other planets', and they knew the orbital details of all three worlds—the time it took for them to orbit the sun, and where in the heavens they could be seen if one had a powerful enough telescope to look for them. Of course, the Sumerians aren't supposed to have had telescopes. So how could they have known all this? Well, the only people we can ask are the Sumerians. Sure, they're all dead; but they left thousands of tablets containing a treasure of written information: Everything from shopping lists to histories. And they said that visitors from another planet gave them all that astronomical information. The "other planet" was called NI.BI.RU — "planet of the crossing" — commonly written "Nibiru" in English. The Sumerians claimed this planet was the most distant from the Sun, a member of our Solar System but with a wide, elliptical orbit that took some 3600 Earth years to complete. 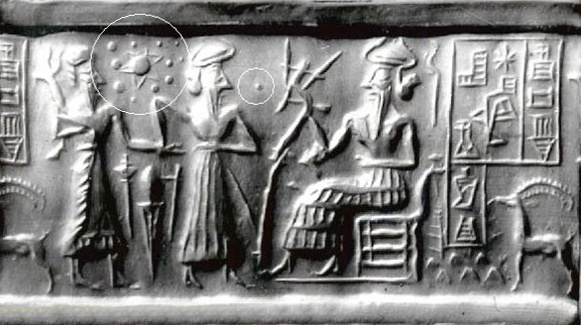 For some reason, those who inherited the Sumerian culture soon lost the meaning of these texts and talked about only the planets that could be seen by the naked eye. The nature of the Solar System was forgotten until the coming of the Enlightenment, and even then it was exposed with all the deliberation of an Charlotte Brontë novel. At the turn of the 18th century, the notion people had of space was an empty place—hence the name. They pictured the whole Universe as containing a few million suns and a handful of scattered planets. The existence of meteors was not acknowledged; every now and then folks would report the falling of one, but people as educated as Thomas Jefferson thought that the idea of "rocks falling from the sky" was preposterous, and wrote that people would rather "believe that Yankee professors would lie, than that stones would fall from heaven." 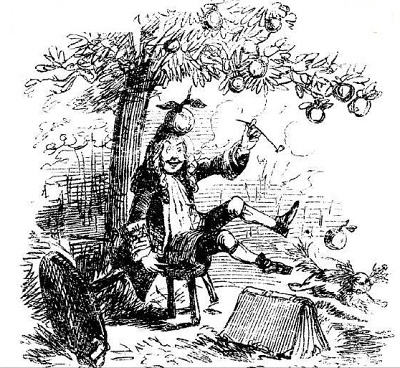 When Isaac Newton (who, I think, is unjustly canonized more for his mathematics than his delicious recipe for fig cookies) presented his theory of gravity, he did so by using mathematics to show that planets like Mercury, Venus and Mars, whose appearances in the skies had been carefully documented for hundreds of years, could be perfectly predicted by the simple equations he'd concocted. And, of course, the predictions continued to be right on target, which is why we now refer to gravity as a "law" instead of a theory. Jupiter nearly spoiled the whole thing for Newton, because the math for a "two-body system" (Sun and Jupiter) didn't quite work out for it. But when mathematicians took the influence of massive Saturn into account, Jupiter's movements through the heavens also fell into line. Because Jupiter is also massive, they understandably expected the influence of Jupiter to explain the irregularities of Saturn's orbit. However, decades of attempts failed to do so. The only possible explanation, was that there was another planet—an unknown one—beyond Saturn. Lost since the Sumerians' descendents misplaced it, Uranus was identified by Sir William Herschel in 1781—though first, erroneously, as a comet. By 1827, though, its classification as a planet and its modern name (Herschel named it after his King George) were widely accepted. The math was then applied, and Saturn's irregular movements were explained. However, as years of tracking the new planet mounted up, it turned out to sport irregularities of its own. Eventually, the conclusion was reached: There must be yet another planet beyond Uranus. Galileo, inventor of the telescope, had actually spotted even-more-distant Neptune in 1612; but it was so far away and moved so slowly that he thought it was a star. 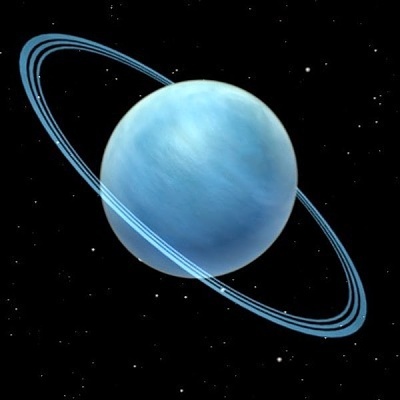 Several mathematicians, working on Uranus' orbit, figured out where the missing planet would be in the sky, and asked a number of astronomers to look for it. For some reason there seems to have been reluctance to do so. However, a student at the Berlin Observatory thought to examine recently-completed star charts of the area in which the new planet was thought to be lurking. Sure enough, there it was. The year was 1846. So now, Uranus explained the irregular motions of Saturn, and Neptune explained the motions of Uranus. Surely, the Solar System would now be well-behaved and function with the precision of the clockworks that were the height of eighteenth century technology! But the Solar System didn't cooperate. Neptune also showed orbital perturbations, proof that there was yet another massive world even farther away than Neptune. The same procedure was followed: Mathematicians figured where to look for the missing planet, and astronomers were asked to look for it. And yet, still again, there was a reluctance on the part of astronomers to actually hunt for the thing—odd, considering the fame and speaking fees that would go to the lucky stargazer who found it. That prize went to Clyde Tombaugh, at the time a young researcher, who found Pluto in 1930. But was the excitement premature? 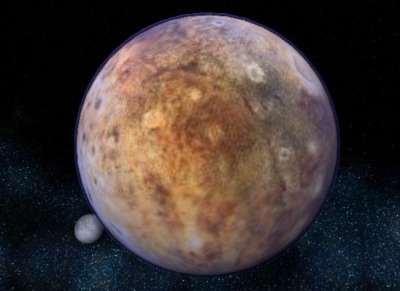 Even by the gut-based, twentieth century definition of "planet," Pluto barely qualified. Yes, it had its own orbit around the Sun; but Pluto turned out to be smaller than our own moon and certainly was not responsible for perturbing Neptune's orbit. And yet, the media conveniently ignored all that and fussed over the little world with headlines like "Long-Sought Ninth Planet Found!" Most people were unaware that there must be yet another planet, a large one, orbiting out there, in the darkness of the outer Solar System. It was not unreasonable to call Pluto a "planet." It had its own orbit around the Sun and there weren't many known bodies that did. Although Galileo had spotted four "minor planets" that most people ignored—they were really the four largest asteroids—to most people, a planet was something that orbits the Sun, while a moon is something that orbits a planet. But as the twentieth century progressed, the Solar System began to seem more and more crowded. It turned out that there were thousands of asteroids, some the size of houses and tractors, with the implication that there might also be a few millions the size of Fig Newtons, most occupying the orbital space between Jupiter and Mars. School kids no sooner got used to the asteroid belt, when a number of bodies were also discovered in the newly-named Kuiper Belt beyond Neptune. Annoyingly (at least to Pluto's publicists), at least one Kuiper Belt body, designated UB 313, is larger than Pluto. Since it also has an independent orbit around the Sun, if Pluto is a planet, why shouldn't UB 313 be one, too? The problem was, no one had ever bothered to define the word "planet." It was one of those things that was simply understood, like "sky" or "fig". But then we got better at measuring worlds at a distance, and found out how small Pluto really was, and the pressure began building, among astronomers, at least, to refine the classification used for all these objects they were compelled to catalog. The meeting of astronomers last week in Prague was intended to define "planet" and they did that, giving us a definition that is pretty close to our gut feeling: Big, round, orbiting the Sun, may or may not have satellites of its own. A new classification was created that rather replaces the old term "minor planet." Pluto, like the asteroid Ceres and UB 313, is a "dwarf planet." In addition to its small size, Pluto shares another characteristic with most asteroids and Kuiper Belt objects: An elliptical orbit. In Newton's time, astronomers were certain planetary orbits would be perfectly round because they thought of God as the "Master Clockmaker" and if God couldn't make perfect circles, who could? Nowadays we know that all the planets' orbits are slightly off the mark, the result of the gravity of each one influencing the others. But some orbits are notably off. For example, the asteroid 433 Eros swings from the main part of the asteroid belt to within 17 million miles of Earth—far closer than Mars ever gets. Similarly, Pluto's eccentric orbit brings it periodically closer to the Sun than Neptune, and also swings above and below the plane of the ecliptic (the invisible disk on which the other planetary orbits are drawn). Modern astronomers do not believe that Pluto was ever a satellite of Neptune, even though it crosses Neptune's orbit. They assume it was captured by Neptune some time in the past, but cannot explain how or why. In fifth grade, we learned to number the planets from the Sun outwards, making innermost Mercury the first planet. But the Sumerians numbered from the outside, as the orbits would be ticked off by a traveler from Nibiru. That made Nibiru the first planet, and Pluto—which they also considered a planet for the same reasons we used to—the second. Neptune was the third; Uranus the fourth; Saturn the fifth, Jupiter the sixth. At that point it gets tricky, because the Sumerians also knew about the asteroid belt, which they called the "hammered bracelet" (firmament). However, they claimed the asteroids were the remains of a planet they called Tiamat, planet number seven. Tiamat had also been hit on one of Nibiru's forays into the inner Solar System—literally, because it was split in half by one of Nibiru's moons. 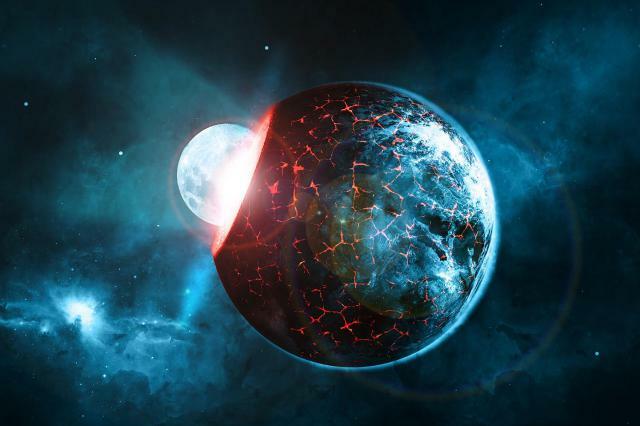 While the shattered half became the asteroids, the other half spun closer in to the Sun, past Mars (planet eight), to a point where it became Earth (planet nine). They considered the Earth-Moon system to be a dual planet, as do modern astronomers; our moon was Planet Ten to them. Venus was eleven, and Mercury made twelve. No matter how you count them, and whether Pluto is a planet, a dwarf, or just Mickey Mouse's dog, the fact remains that there is something big past Neptune that is affecting Neptune's orbit. You could say that this is an unimportant matter, especially compared to the war in Iraq or even the price of gasoline. And yet, I can't help but wonder…why did the civilizations that evolved from Sumer forget about the outer worlds? And why, after we had realized that the mathematics proved the existence of outer, massive planets were astronomers so reluctant to look for them? Why have we, as a culture, allowed ourselves to be distracted from the fact that a massive outer planet is still there, waiting to be found? 'Cause you know, we've sent probes to every planet in the Solar System. If we find Planet X (Nibiru? ), a probe is sure to follow. What is someone afraid we'll find?